The ride-sharing app wants to move into on-demand delivery, but logistical issues scared away two big would-be partners. The demand economy has spawned an Uber for everything. Now Uber wants you to just simply UberEverything. Uber, the world’s most valuable startup, wants to deliver your new iPhone or a much-needed caffeine fix. But its plan to become an on-demand, same-day delivery service has stalled after logistical nightmares scared off potential big partners, including both Apple and Starbucks. According to The Wall Street Journal, Uber has been facing major roadblocks as it hopes to expand beyond ride-sharing and into using its urban fleet of vehicles for same-day delivery. The company is working toward creating a so-called “urban logistics fabric,” or UberEverything, where drivers can deliver food, groceries and other items across town when demand for passenger pickups is low. For over a year, Uber has been trying to sign up major retailers to its pilot delivery program, but negotiations with Apple, Starbucks, Eat24 and GrubHub led nowhere. Last month, Apple announced that it had partnered with on-demand app Postmates for same-day delivery of products from its Apple Stores. Earlier this year, Starbucks inked a similar deal to have Postmates be its coffee delivery courier. Why this matters: Even with Uber’s vast infrastructure, same-day deliveries are still a logistical nightmare. Retailers want to make sure their products will be protected with a robust insurance policy. Drivers need to respond to delivery requests as urgently as they would during “surge pricing.” And the company has to implement a minimum purchase price, otherwise roads will be clogged with drivers delivering $4 toothpaste across town. Uber made all these mistakes when it first launched a same-day delivery service, and it could be these early logistical oversights that might have deterred Apple and Starbucks from coming onboard the Uber program. “I think there’s just an urban mythology out there that the app somehow changes the basic cost input of the logistics business. That’s just incorrect,” FedEx CEO Frederick W. Smith has previously said about Uber. Meanwhile the WSJ is reporting that UberEats, the company’s food delivery service available only in New York City, Chicago, Los Angeles, Toronto, and Barcelona, has failed to attract a significant user base. UberEats services so few customers, in fact, that sometimes the pre-ordered food has to be thrown away at the end of the day. UberEats is practically going to waste. Yet Uber is hell-bent on becoming an even bigger player in the emerging on-demand economy. An Uber spokesperson told the WSJ that UberEats has been well-received, and that the company is looking to expand the service to 15 other cities in the next year. It remains unclear how much food Uber is willing to literally throw in the garbage to make its “logistics fabric” take hold. Despite these growing (rotten) pains, Uber’s investors are confident that the ambitious startup can compete against standalone delivery startups like Postmates and Instacart, as well as rival delivery offerings by big tech companies like Amazon, eBay and Google. The WSJ is reporting that Uber, currently valued at $41 billion, is looking to raise even more money to fund this competitive drive. 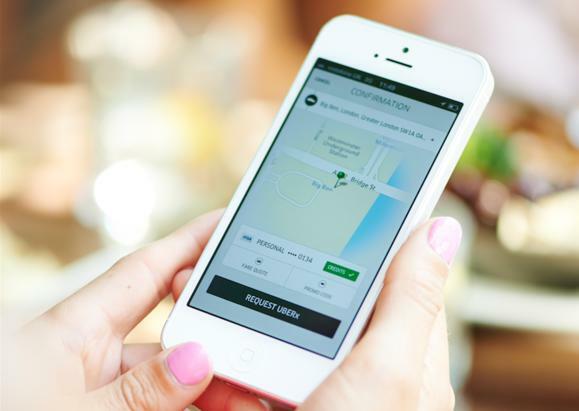 The new funding round would raise Uber’s valuation to a record high of $50 billion. Anyone who’s ever ordered anything via an app—whether its Postmates, GrubHub, or Instacart—knows that same-day delivery can be a hit or miss. You either get your meal nice and warm or you have to wait for it until your stomach starts to growl. Sometimes the grocery shopper picks up strawberries with a bunch of mold on top or the delivery guy squishes your box of cupcakes sitting at the bottom of his backpack. When it comes to same-day deliveries, speed is prioritized over care. You might get a refund for any items that were lost or forgotten, but getting your money back for something that was not delivered puts you back at square one. You still have to somehow get laundry detergent. When delivery apps screw up, it turns out that it’s actually cheaper and faster for you to have just gone the good-old DIY route. Uber is also testing a bike courier service, as well as a moving service with U-Haul-style vans. SideCar, a competitor, is also testing same-day delivery service of hot meals, groceries, flowers, and even medicinal marijuana.